The Harrogate programme, which bills itself as the 'world’s biggest celebration of the crime genre', will be unveiled tonight (5 April) at a party at Browns Courtrooms in London. Alongside four days of events, the Theakston Old Peculier Crime Writing Festival has announced a major celebration of Agatha Christie. 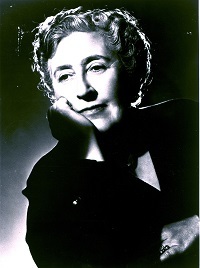 A new exhibition will debut at this year's Festival and will 'explore connections between her writing, life and publishing career using rare photographs and documents from both the Agatha Christie and Collins archives in a visually led outdoor display', according to the organisers. The exhibition, part of HarperCollins’ 200th anniversary, will be displayed at the Festival venue, the Old Swan Hotel in Harrogate, where Christie was found after her famous disappearance in 1926. The 2017 Theakston Old Peculier Crime Writing Festival’s programming chair, Elly Griffiths, author of the Dr Ruth Galloway crime series, said: "The ghost of Agatha Christie clearly haunts the Old Swan Hotel. 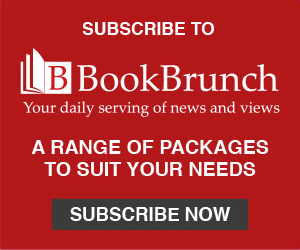 Nowhere is the genre she devoted her life to so enthusiastically celebrated than at the Theakston Old Peculier Crime Writing Festival - the biggest event devoted to crime fiction in Europe, if not the world." The event runs from 20 to 23 July, with Dennis Lehane, Lee Child, Ian Rankin, Peter May, Stuart MacBride, Joseph Finder, Arne Dahl, Kathy Reichs, Brenda Blethyn, Robson Green and James Runcie making appearences. The opening night features the Theakstons Old Peculier Crime Novel of the Year Award, in association with retail partner WHSmith and media partner the Mail on Sunday. Val McDermid’s annual New Blood panel features four hand-picked debut authors: Fiona Cummins, Jane Harper, Joseph Knox and Kristen Lepionka. 2016’s festival sold 14,000 individual tickets over four days. It was cited as one of the UK’s top literary festivals in The Guardian and Elle magazine, and reached 8.2 million Twitter users, with 35.9 million impressions during the first week.